In a very unusual step, the White House has released a partial transcript of President Donald Trump’s hour-long talk with reporters about Russia, China, health care and the border wall. The conversation was previously considered “off the record." During the 70-minute chat, Trump touched on a variety of subjects, from relations with Russia and China to tariffs and trade, healthcare and his promised wall on the border with Mexico, complete with solar panels. 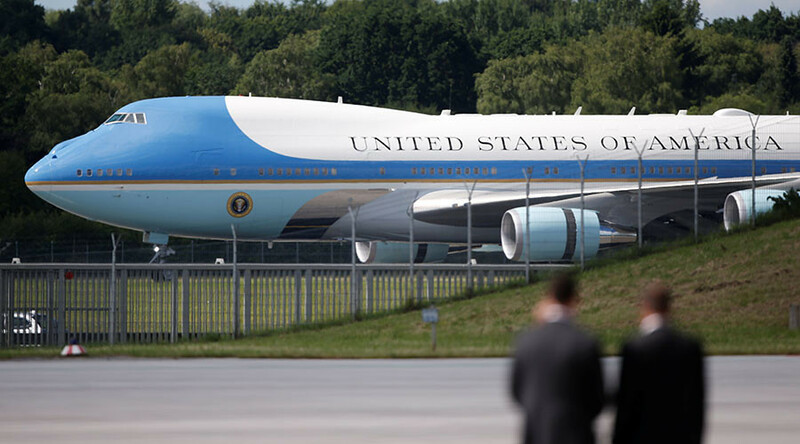 The conversation took place Wednesday evening, as Trump was flying to Paris to attend the Bastille Day celebrations at the invitation of French President Emmanuel Macron. Asked if he would invite President Vladimir Putin to the White House, Trump said he would. “I don’t think this is the right time, but the answer is yes, I would,” he said, adding that refusing to talk to Russia would be foolish. Putin did not raise the issue of US sanctions against Russia during the two leaders’ meeting on the sidelines of the G20 summit in Hamburg, Germany last week, Trump said. Trump said he did not feel pressured by allegations of colluding with the Russians. The Democrats have "played their card too hard on the Russia thing,” and the American people are not buying it, Trump said. The president also discussed his son's "short" meeting with a Russian lawyer, telling reporters the Donald Jr. is "a good boy... a good kid." "Don listened, out of politeness," but realized the opposition research he was promised wasn't worth it, Trump said, adding he had only learned of the meeting "two or three days ago." "Honestly, in a world of politics, most people are going to take that meeting," the president added. 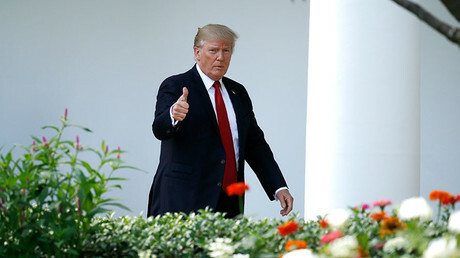 He said he was “going a little bit easier” on China regarding trade, because he hoped to get President Xi Jinping to put pressure on North Korea, but added that “the worst of all trade deals” the US has is with China, followed by “a bad deal”with South Korea, losing $40 billion every year. “A big thing we have with China was, if they could help us with North Korea, that would be great,” Trump said, but noted that the Chinese and Koreans have fought “numerous wars” throughout history, and Beijing can’t just order Pyongyang about. Speaking about his pet project, the border wall with Mexico, Trump assured reporters that his quip about putting solar panels on top was not a joke. “Look, there’s no better place for solar than the Mexico border – the southern border. And there is a very good chance we can do a solar wall, which would actually look good,” he said. He also pointed out that it was not necessary to build a wall along the entire 2,000-mile (3,200-kilometer) border with Mexico, because there were plenty of natural barriers. “You have mountains. You have some rivers that are violent and vicious. You have some areas that are so far away that you don’t really have people crossing. So you don’t need that. But you’ll need anywhere from 700 to 900 miles,” he told the traveling reporters.